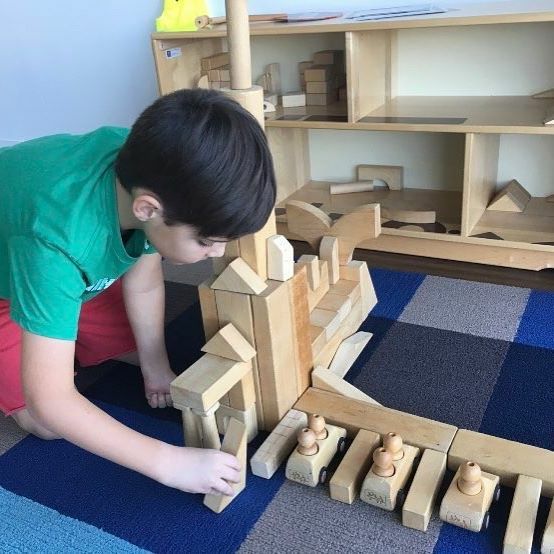 When you provide opportunities for your child to experiment with blocks, you are kickstarting their cognitive development, boosting their creativity and helping them hone their critical thinking skills. Here are some creative ways to reap the benefits of block play at any age. 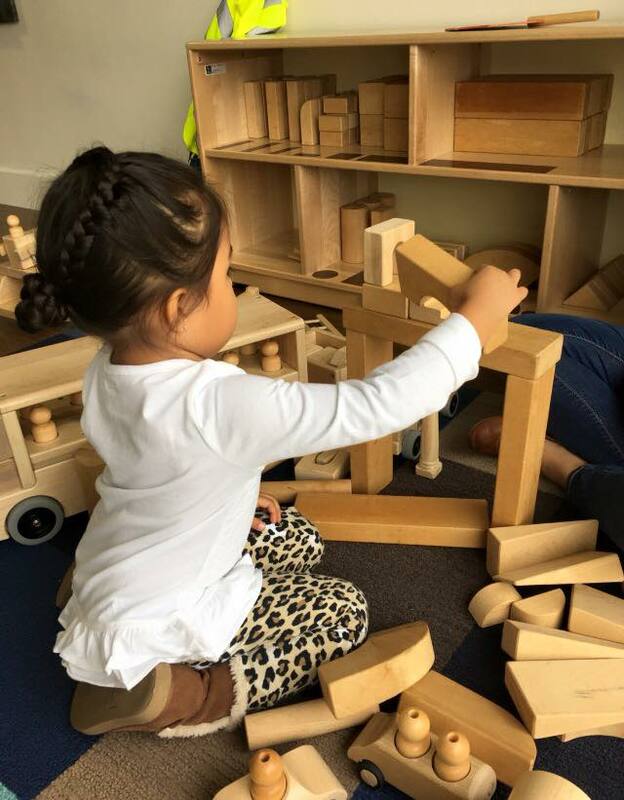 Even infants can benefit from block play! 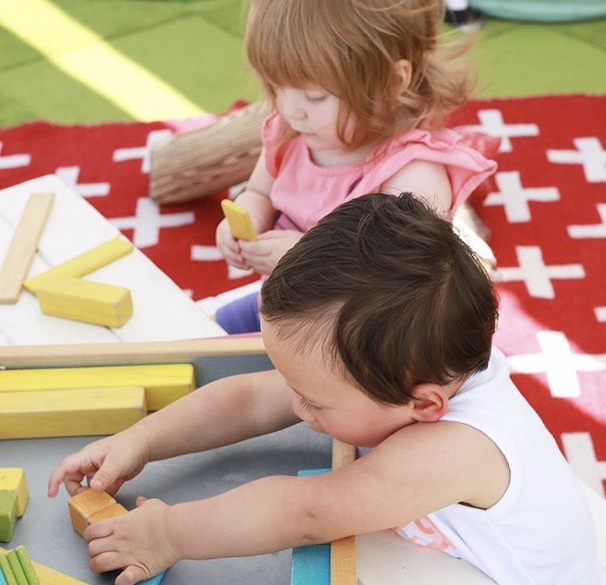 Similar to tummy time, block play helps your infant build their strength and coordination. Try this: Place 3-4 colorful blocks just out of your child’s reach and watch as your infant stretches for it or tries to scoot towards it. Once your baby begins to sit up on their own, block play can be used to improve motor skills, hand-eye coordination and dexterity. Try this: Work with your child to stack blocks to create a simple tower. They will enjoy watching the tower grow taller and will delight in the sight and sound of it toppling down. As your baby matures into a toddler, magnetic blocks can be a new take on an old favorite. Your toddler will begin to think critically as they stick and unstick the magnetic pieces to create their structure. Play Street’s Pick: Tegu Wood Magnetic Blocks - These smooth wooden blocks have rounded edges and completely encased magnets which keeps them safe for our 2 and 3-year-old friends. Preschool aged children are ripe for creative play. Blocks with interesting shapes and colors will launch your preschooler into the world of imagination. You might also notice them building their vocabulary as they create and tell stories about the structures they’ve created. Play Street’s Pick: Grimm’s Pyramid Block Set and Grimm’s Rainbow Stacker. These building sets combine bright colors and familiar shapes to provide a stacking challenge for your preschooler. The pieces fit together to make a specific design or can be arranged in an endless variety to ways. School aged children are ready for a new challenge. This is the time to bring out the blocks that interlock in interesting ways. Your child will have to think critically and problem solve as they discover more complex ways to build. 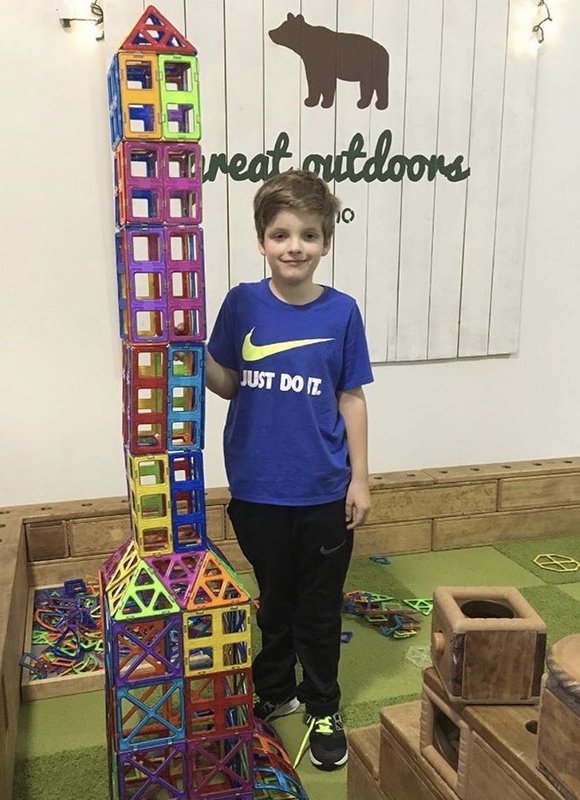 Furthermore, continued block play into the school aged years will help to reinforce math and science skills as they count, measure, create geometric shapes and explore balance, weight, leverage and more! Play Street’s Pick: Magformers - These magnetic building tiles allow your child to create a 2-D plan and transform it into a 3D structure. Your child will have to use problem solving skills to create stable structures using these colorful geometric shapes. It sounds crazy, but block play can also be beneficial for adults as well! Studies have shown that when you reach a mental block (no pun intended) at work, taking a short break to do something constructive and creative can get the ideas flowing and your brain back on track. Play Street’s Pick: Plus Plus Tubes - These slim block kids come in a case that can easily be thrown into your bag or briefcase and won’t take up much space in your desk drawer. They also come in a variety of color combinations ranging from a sleek gray scale mix to chic pastels. We love and appreciate all of these new, colorful building options, but the good old-fashioned unit block is still a favorite at Play Street Museum. So open ended, they can provide hours of entertainment for your little one, and your kiddos will never realize how much they are learning while engaged with unit blocks!